PENTAGON: Less than two months after Defense Secretary Ash Carter visited the highly classified Joint Interagency Combined Space Operations Center (JICSPOC), the head of Strategic Command’s space command unit has taken over the war games at Schriever Air Force Base. 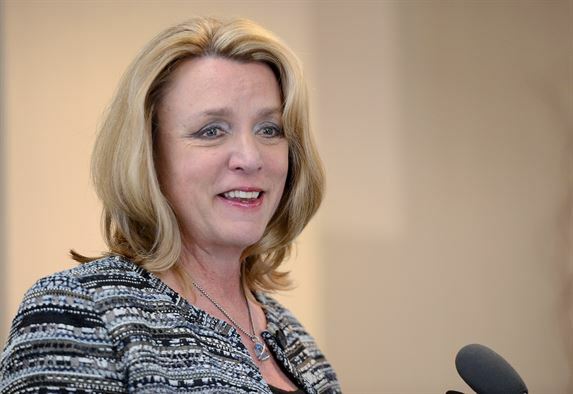 Air Force Secretary Deborah Lee James told me in an interview that Lt. Gen.David Buck, JFCC-Space, was appointed in recent weeks to take the lead. He is replacing Andrew Cox, director of Air Force Space Command‘s space security and defense program. 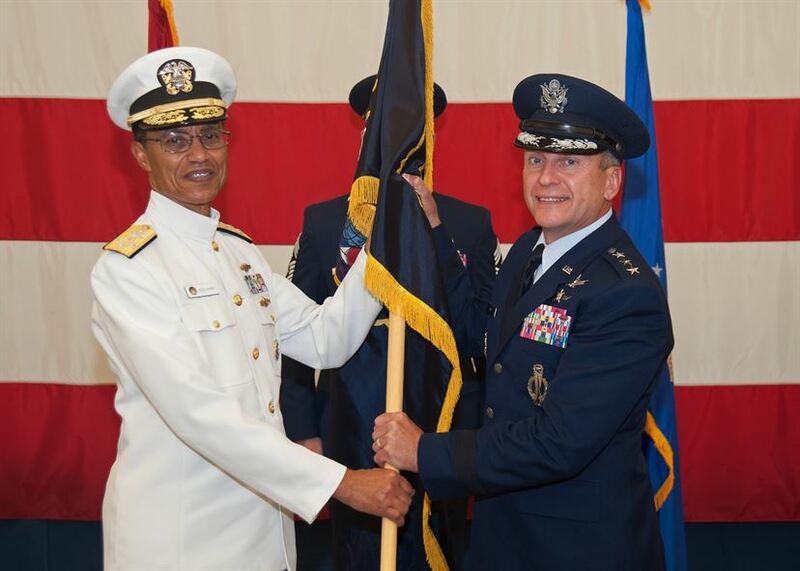 The space Joint Functional Component Commander (JFCC) is Strategic Command’s lead for space warfare, and STRATCOM is the combatant commander for space, so this marks a shift to the senior military commander for space, as well as maturation of the JICSPOC. It also may reinforce the move to better define who actually would command US space forces in the event of war. The question of who would actually make decisions about US space assets in the event of war “bleeding into space,” as James put it in our interview, was a fundamental reason for the JICSPOC’s creation. The Intelligence Community had long refused to discuss who would command in the event of war, apparently judging that they owned and operated their satellites so they would command them. Defense Secretary Ash Carter has gone public with the fact that he pressed the IC to do something like the JICPSOC for some five years. Perhaps as the price for the NRO, in particular, agreeing to participate, Carter and Deputy Defense Secretary Bob Work have been careful to say that both sides will for the time being at least command their own assets. The talking point phrase is “unity of effort,” instead of “unity of command.” This is clearly reflective of the deep and abiding divide between black and white space. James addressed this briefly during our interview, noting that “the need for speed” in deciding how to react to anti-satellite missiles, cyber attacks, jamming or dazzling will drive some programmatic choices as well as “how you’re going to operate” as the JICSPOC continues to hammer out what happens, how it happens and why in space war. That speed means you can’t gather commanders and spies round a conference table and discuss the best course ahead. Automated command and control, as well as visualization tools to allow commanders to actually understand and see “what the heck is happening,” will be important to coping with that speed, James said. And that means “good, old-fashioned authorities, who decides what” need to be looked at. The U.S. may need to strip some of the layers of command away and make sure space war procedures allow us to act quickly and correctly. But what is the point of the JICSPOC overall, wonders Brian Weeden, a former nuclear missileer and now a space expert at the Secure World Foundation. “It seems like no matter what the question is, the answer is the JICSPOC,” said Weeden, noting that many of the issues now being addressed during the four interagency war games held so far “are not new problems.” They go back, he said, at least to the so-called Rumsfeld Commission in 2001. “The JICSPOC was created to address and provide a single command point to fix the SSA (Space Situational Awareness) problem. The JSPOC (Joint Space Operations Center) was envisioned to be that place, but the IC didn’t want to play,” he notes. Weeden questioned the need for the JICSPOC, saying he didn’t “understand how creating yet another organization is going to resolve the long-standing problems.” He did, however, praise some of the experiments for their realism, noting the space community has long been criticized because it didn’t train like it fights. Work has said old satellites are actually being commanded and moved to ensure realism, and Weeden thinks that’s an improvement. And that, everyone in black and white space with whom I’ve spoken agrees, is the whole point: improving.